FROG HOLLOW OUTDOORS provides residents and visitors of the Triangle Region and North Carolina a resource for canoe & kayak education, the exploration of nature, relaxation, adventure, self-discovery, and a greater overall connection with the outdoors. Our Instruction, Trips, Guide Services & Programs are excellent for individuals, families, groups of friends, office retreats, youth groups, school classes, outings, or even a romantic date. We want to help you experience the outdoors to the fullest. So, Get Outside, Explore, and Discover our region’s hidden treasures! What made you want to get into the Paddling industry? I was in Girl Scouts as a kid and always enjoyed being outdoors. In college I joined the intramural canoe and kayak Team on a dare. I discovered the paddling community to be where i fit in. After that the joy of watching other people learn to paddle was very fulfilling which made me want to be the best instructor I could be. Things fell into place after that. I love seeing the transformation from when a person first calls and they want to learn to kayak, they are often shy and filled with trepidation, but they know this is something they want to try for some personal reason. 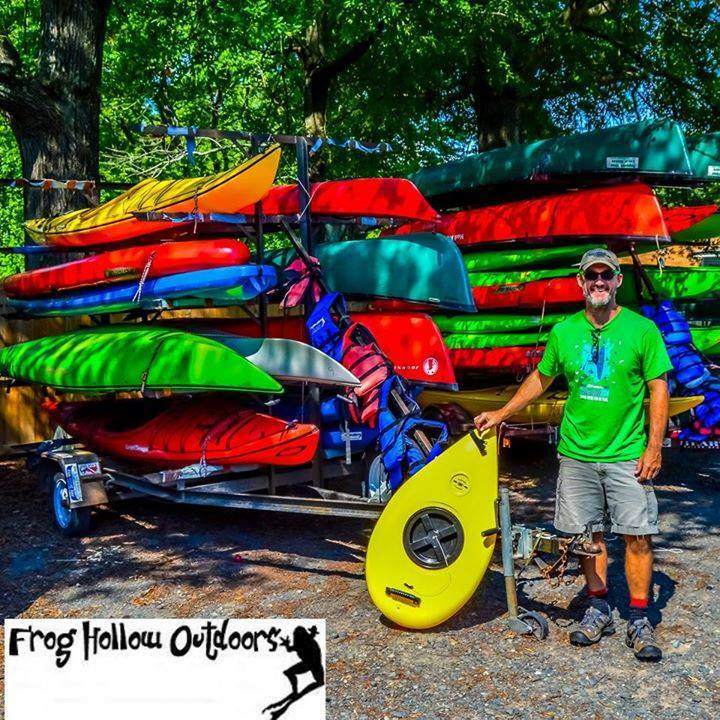 I love talking them through that first experience and before long they are calling me wanting to take a more advanced class or wanting information on purchasing a kayak. Those moments keep me going. I also love running into someone I taught to kayak years ago and I may not fully remember them but after a few moments of talking they will mention something that happened in their class or something I said specifically to them and I am able to connect them with a class memory. Believe it or not after years of teaching kayaking classes I remember most of the classes because we develop a bond over a love of paddling. I joined Frog Hollow 10 seasons ago. I was the first true employee, before me Banks would have a friend help him out here and there. We were running things out of his house and a small shed in the backyard at the time. He had been running things pretty much solo for about 5 years before. I was born and raised in Durham. I love it here. Lots of other places with more wilderness but this place takes hold of people. 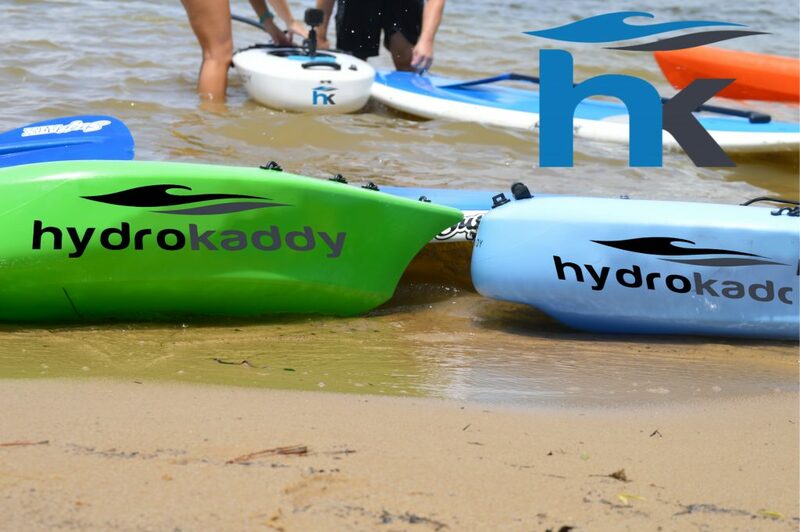 How do they see the business benefiting from the Kayak Kaddy? I think it opens people up to being able to do more with kayaks. Often I will have people call who are wanting to go kayak camping but they know they need a canoe because there is no way they could pack everything in a kayak. This will allow people more freedom to be more comfortable at camp and still take a kayak. I’m also starting to think about beginner level rescue towing instruction using the Kaddy. What do you think about the Kayak Kaddy? It s a pretty cool option for additional storage. We have one sitting in the office and everyone, from staff to customers, wants to use and has their own idea on how they would use it. This entry was posted on Sunday, August 3rd, 2014 at 7:48 pm	and is filed under Outfitters. You can follow any responses to this entry through the RSS 2.0 feed. Both comments and pings are currently closed.